Several problems in modern genome mapping analysis belong to the field of discrete optimisation on a set of all possible orders. In this book, formulations, mathematical models and algorithms for genetic/genomic mapping problem that can be formulated in TSP-like terms are proposed. Since the 1960s, Operational Research techniques have extensively been developed to support organisations in their Manpower Planning challenge -- a fundamental aspect of Human Resource Management in organisations. 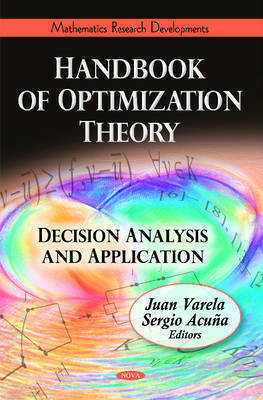 This book reviews the techniques and alternative approaches that have been introduced in Manpower Planning (e.g., simulation techniques), and in general, the Markov Chain Theory. Furthermore, the authors of this book propose a new class of strategies for giving the optimal inventory replenishments for each retailer. In addition, the authors demonstrate how to increase the usage of iterative methods in all possible fields by accelerating such solvers using Reconfigurable Hardware. An optimisation method for material layout of incompressible rubber components is presented as well. 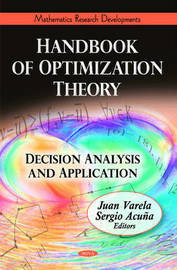 Other chapters in this book use a generic approach to study minimisation problems on a complete metric space, provide a novel design method in the case of an output feedback suboptimal control problem, derive Levy process-based models of jump diffusion-type for banking operations involving securitisation, capital and profitability, and investigate the optimality of the loan securitisation process that has had a prominent role to play in the sub-prime mortgage crisis (SMC).